Every first Monday of the month we post an interview with a TopFem member or TopFem alumna. Aukje Ravensbergen has been Chairwoman of TopFem, and is currently part of the Advisory Board. Can you tell us who you are? 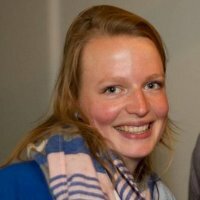 My name is Aukje Ravensbergen, 26 years old and I live in Leiden. I am member of the Advisory Board of TopFem The Netherlands. Currently I work as at a public affairs advisor at Van Oort & Van Oort in The Hague. In my spare time I love to travel and I am a big fan of photography. Furthermore I love to dance: I follow lessons in classical ballet. And of course I love to meet up with my friends and family at lovely restaurants and bars in different cities. I also love to play board games with my friends. Can you tell us which study you have completed and what career you were planning to pursue after this? In 2014 I graduated in Political Science at the University of Leiden. I first started with Law at the College of Amsterdam (Hogeschool van Amsterdam), and then switched to political science. I have always been interested in the political arena and how policies and regulations are established. In my studies I mainly focused on international politics and political philosophy. I always wanted a career in which I was in a position to be the link between politics and the society. I think it is important that interests are represented, translated and heard. What were you like as a student ? I think I can describe myself as an active student. My grades were good, but I focused mainly on extra-curricular activities. That gave me the most energy. I was a member of a student association where I found a fantastic group of friends. I was also a board member of Enactus (SIFE) Leiden for the first three years of my studies, which was one of the most educational experiences during my college years. And I was a committed member of TopFem in the last years of my studies. Next to my curricular activities I had several jobs, for example as a student member at the educational board of political science. In my master I chose to focus more on my studies and got the opportunity to do an internship at UNICEF the Netherlands, through my TopFem mentor. I used my internship to do research for my master thesis. How did you discover TopFem? At Enactus (SIFE) Leiden I worked together with one of the TopFem founders, Genevieve. She introduced me to the rest of the network and encouraged me to join the TopFem Talent Programme. How do you experience TopFem? In my first year at TopFem I participated in the TopFem Talent Programme. Together with my co-participants I did research on the success factors of female members of the Dutch Parliament. The following year I was chair of TopFem The Netherlands and responsible for the Leadership Programme (successor of the Talent Program). I’m currently involved as a member of the TopFem Advisory Board. TopFem is a network where you can share experiences and learn from each other’s choices. It is a platform where you can meet a lot of girls with different backgrounds. Through TopFem’s activities you get the chance to take a peek inside several companies. This gives you the opportunity to experiences various workplaces and sectors. However, the most valuable part of a network such as TopFem is the relationship you build with a mentor. From my own experience I can tell you that it opens many doors to new opportunities. Do you have a role model? How and why do they impact your life or inspire you? I do not really have a role model, but I have a lot of respect and I am quite impressed by Femke Halsema. I am reading her book at the moment and I respect her strong focus and the way she follows her own path. Leadership is about knowing your own strengths and weaknesses, and those of others, in order to use them effectively. How did you end up at your present job? I started as a public affairs advisor at Van Oort & Van Oort in March 2015. Before this job I worked as a policy officer Children’s Rights at UNICEF the Netherland. As a public affairs advisor I give various organizations (such as in NGO’s, patient organizations, universities and companies) political advice in order to influence decisions made by the government or regulatory agencies. I enjoy the fact that it is my job to follow politics closely on several subjects. From the energy debate to various health care issues, I give our clients advice on many subjects. How was the transition from your student years to your working life? Working life was something I looked forward to. In the beginning it was definitely a transition, but I enjoyed the structure and the focus on just one work-related activity in my life. I was so used to doing ten things at the same time. However it is still a challenge to balance my working life with all the fun social activities of my private life. What are you doing daily to ensure your continued development as a successful woman? Every opportunity that comes along I try to take on. And I think it is important to stand still once in a while and think about what you have achieved and, most importantly, how much joy you get from your work and other activities in life. Currently I’m taking a course about empowerment for young professionals and this gives a lot of insight. If you’ve taken part in the Leadership Programme or done a research project via TopFem, could you tell us about the experience? We conducted 36 interviews with female members of the Dutch Parliament over a period of months. The conclusion we reached is that if you want to become a member of the Dutch Parliament, it’s all about working hard and being willing to make sacrifices. Your background or study is, therefore, not that relevant. The interviews were very inspiring and made clear whatever step you make in your career it can lead to anything you want. You cannot plan your whole career; you will be surprised, in a good way! What is one characteristic that you believe every female leader should possess? I believe every leader should have the ability to think ahead and be aware of their impact on the environment. If you want to achieve something you never do it alone. And the task of the leader is to motivate and inspire people. I am not planning my career very far ahead. I love my work and hope to continue growing with an upward trend. I believe in seizing new challenges and opportunities as they occur or when it feels time for something new. We are looking for the Board 2019-2020!